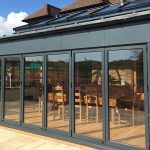 With so many factors involved in a decision on furniture items for your conservatory, from room size to materials, design, cost and pure personal preference, deciding can seem tricky. 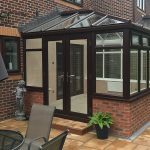 Most items will come in wicker, rattan, or cane as these resist the higher temperature, strong sunlight and other factors which can make a conservatory a challenging place for furniture. Have a think about which of these you like, and which would best suit your conservatory. If you choose synthetic rattan, you will have a UV-resistant material that won’t fade in the sun. Keep wicker items of furniture in particular out of direct sunlight, to maintain them in optimal condition. Moving items around can help reduce exposure. Turn the cushions regularly over for the same reason. 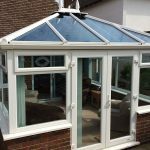 Be aware of which parts of your conservatory get most light and heat. When it comes to cleaning, a damp (but not dripping wet) cloth is usually more than up to the task – don’t use harsh chemicals. A light furniture polish can also be used, especially on cane furniture, but make sure it isn’t too heavy duty. You can also vacuum the cushions. You will need to measure the floor of space in your conservatory with care and plan your furniture accordingly. Having bigger but fewer pieces is one way to go, but don’t overcrowd your space. In truth, quality of conservatory furniture can vary considerably. While some can be well-made and extremely robust, it’s also possible to come across some pretty poorly produced items that are flimsy. Look for high quality materials and workmanship and durability. Cushions should be filled with materials that can withstand daily use. Crumb foam, for example, may be cheaper but won’t last as long. Finally, team up your conservatory furniture with some nice matching accessories. You’ll probably want something like a coffee table, or a nest of tables and a magazine rack. With the right care and choices, your can set off your conservatory to perfection for a long time.